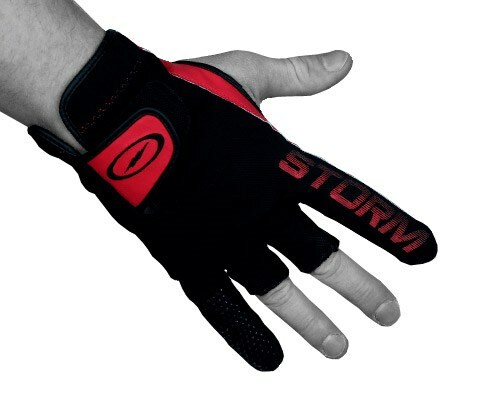 The Storm Power Glove was designed to help you put more power into your game. This glove has removable palm pads in 3 different sized that reduce the amount of space between your ball and your hand. This innovation help create a better ball roll and also gives you the ability to increase axis rotation. 3 different sized pads included: Small - 7/16" Medium - 1/2" Large - 5/8"
Inserts are removable and can be hand washed. Clean foam padding with a light amount of soap and damp rag. 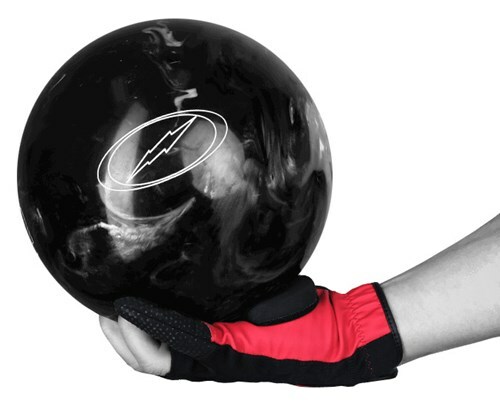 I have been waiting for someone to market a new bowling glove with a palm pad. The previous models have all been discontinued. I bought a Storm Power Glove recently and am very pleased with the product after first use. Although out of the package it appeared to be constructed a bit weaker than my old glove, the Ebonite Reactor/R with Palm Pad, it had a comfortable feel on my hand and worked fine with my grip and release. 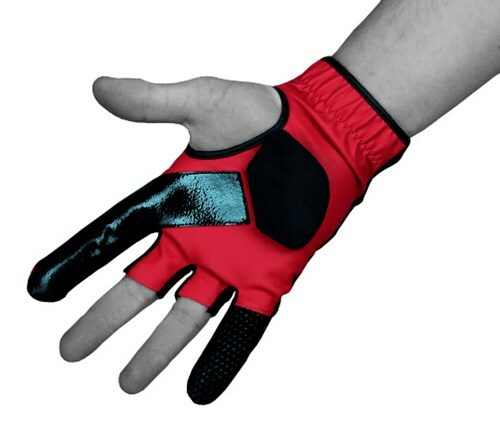 I would recommend it for anyone looking for a light glove with a palm pad. Good idea but may not last too long. It seems to work but the second time using it the palm pad fell off the glove. Good thing theres 3 of them. Gonna try glueing the velcro back on the pad. These will run pretty true to size. what size would I order this for women? For women, it would be a small or medium. Due to the time it takes to produce the Storm Power Glove Right Hand Red ball it will ship in immediately. We cannot ship this ball outside the United States.